First off we are going to take a look at a service that still to this day I see people bashing it just because it's from a company who loves to make money, I'm of course talking about EA Access. EA Access is a feather in the cap of the Xbox One console right now, as for some reason Sony didn't think the service offered value for money back when it was announced, a thought many PS4 guys still don't understand to this day. At either £3.99 a month, or £19.99 for a whole year, the service is great for both brand new Xbox One owners, as well as guys, who like myself, have had the console since launch. Of course with EA only having mostly sports and shooters available at the current time on the Xbox One, the service will not be for all at the present time. But even if you don't like those sort of games you have to look at games like Dragon Age, Unravel, Mirror's Edge and more to know this won't always be the case for the service. 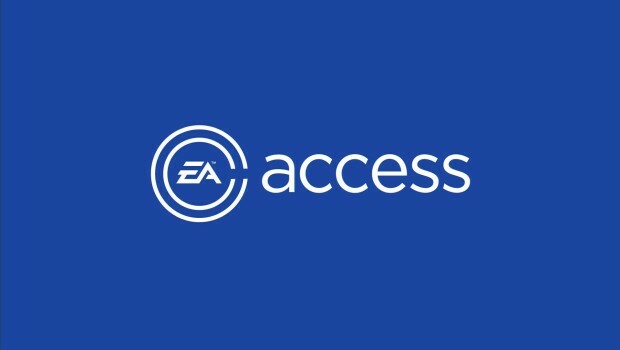 There are three portions to EA Access in what you get for your monthly or yearly payment should you subscribe to the service, and this is what you pay for. 1: The Vault - Games added to a vault which you can then download and play like you own them as long as you are a paid subscriber. Currently in the vault there are around 20 games for you to download and own if you are a paying member. Most of the latest sports titles are now available as you would expect, but also games like Titanfall and Dragon Age: Inquisition, Battlefield 4, and Battlefield Hardline are also part of it. Games are being added to this all the time, so there is always something new for you to try at some point. 2: Early Trials For New Games - Every new EA release will see that game getting some sort of trial for EA Access members, with the last one being 10 hours of Unravel, which saw you able to play a few of the levels in the game. The next one up is Mirror's Edge Catalyst on June 2nd, which normally means 10 hours for you the play of the brand new release, with any achievements you unlock while playing it being yours to keep without having to buy the game. This is a great way of testing out an upcoming release on a game they have coming out, which unlike a demo lets you try everything the game has to offer, almost like renting the full game for half a day. 3: Discounts - Now I will be truthful here, I've never really gotten much out of this portion of the service, well a few FIFA 16 UT packs at a lower price, but that's it. Subscribers to the service can Save 10% on all EA digital purchases from the Xbox One Games Store. This includes full games, pre-orders, expansion packs, and pretty much anything else you can find on the Xbox One Store that is published and/or made by EA. Overall: A great service that will fill up your HDD easily if your a new Xbox One. If you're a long-time owner of the console though, you've still got trials and a few of the vault games to still offer great value for money. Now we move onto some websites I use when picking up a new game or some Xbox currency to pick up that new digital only release. My two websites when picking up a physical game are both Postabargain and Frugal Gaming. Both offer the same sort of free service, in which they look over the web and find the best price and all things gaming. I'd say I use Postabargain more than I do Frugal if I'm being honest, but that's because I used to speak with the owner and some of their loyal and unpaid deal posters on Twitter a lot on my last Twitter account, all of which do a great job in saving people like me money. So be sure to check their websites by clicking their names above. A short mention also has to go to the guys at CD KEYS who offer a ton of digital codes including games as well as currency for numerous platforms. While the games aren't that big of a saving to begin with when they first launch, I can honestly say I've used them for Xbox Live subscriptions/currency for the last few years now, as their price cannot be beaten. Finally, we move onto rentals, and being UK based there is only one big name at the moment for gamers to use, that being Boomerang Rentals. The UK does have others places like Paramount too, but not having used these guys just yet I can't comment on their service. Boomerang Games offer numerous packages, ranging anywhere between a value package at just £3.99, right up to priority packages which I use costing me £15.99 a month. For my £15.99 a month I get first dibs on new releases if I have a spare spot in my package for that game to be sent out. With that cost letting me get two games sent to me at any one time an unlimited amount of times in the month. I've already had games such as Rise of the tomb Raider, Homefront, Quantum Break, and Minecraft story mode so far this month, so as for value for money you can see it certainly offers that. Had I gone out and bought all of those games brand new I would be looking easily at over a £100.00. So there you have it, my three ways to be a right cheap gamer on a budget. Hopefully, these places help you out, and if they did be sure to let me know in the comments below.